The Coptic Orthodox Church is one of the oldest churches in the world. 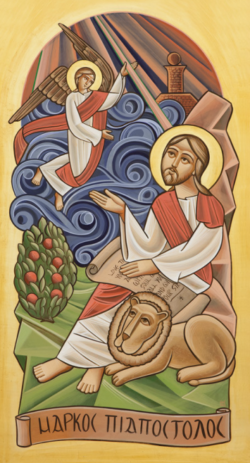 It was founded by St. Mark the evangelist and author of the second gospel in Alexandria and Egypt in the mid-first century. The term “Copt” means Egyptian. 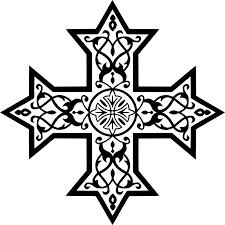 Copts are the native Christians of Egypt and the direct descendants of the ancient Egyptians who were converted to Christianity by St. Mark. Why should I come to the Coptic Orthodox Church (or any Church, for that matter)? Christ never intended that any of His followers should be on his or her own, but that they should exist and worship in communion, community and fellowship with one another, forming one body, hence the church. Today, in an age where new and strange teachings pop-up everyday claiming to be the truth, it is reassuring to find a church that has remained true to the faith and spirituality which was established by Christ and handed down to the apostles and church fathers. What are Orthodox services like? Although a 2.5 hour Liturgy may seem long, believe it or not, this is actually the short version! Each prayer is intentional and critical to the service, and helps to remember that the core of our life as a church family is the Holy Eucharist (Communion) and each prayer is prayed in preparation for receiving the Holy Body and Blood of Christ. First and foremost, the church believes that the Bible is the inspired word of God, to be followed according to the interpretation of the early church fathers.